Pearletta Joan Utecht, 77, of Wausau passed away on August 13, 2018 at Tender Reflections Assisted Living, Wausau. She was born on March 10, 1941 in Tigerton, the daughter of the late Herman and Sarah (Watson) Lutzewitz. 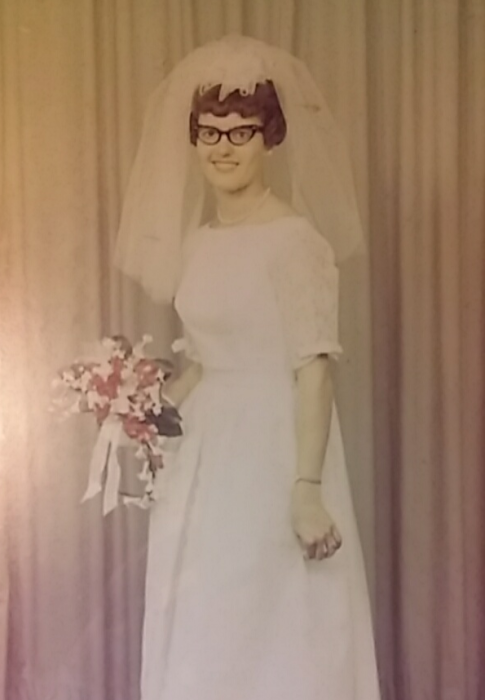 On June 10, 1967 she married David E. Utecht at St. Stephens Lutheran Church in Wausau. Pearletta enjoyed being a homemaker tending to her family. In her free time she liked to crochet and work on crossword puzzles and loved to read. Survivors include her daughters JoAnna Stenberg; Rebecca (Bill) Pries; Sarah (Paul) Gwidt; 10 grandchildren and 4 great grandchildren. She was preceded in death by her parents and husband David, and son-in-law Keith Stenberg. A graveside commital service will be Friday August 17, 2018 at 2:30 p.m. at Restlawn Memorial Park, 4710 N. Troy Drive, Wausau.